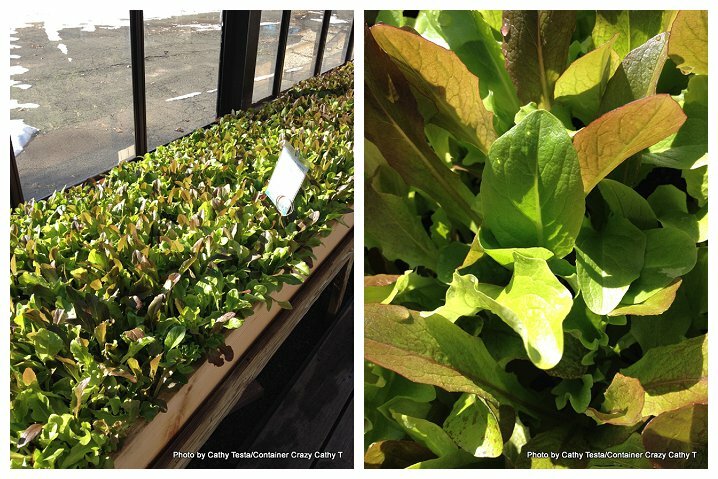 January – A visit to a garden center reveals a tray of lettuce growing happily in a warm greenhouse. 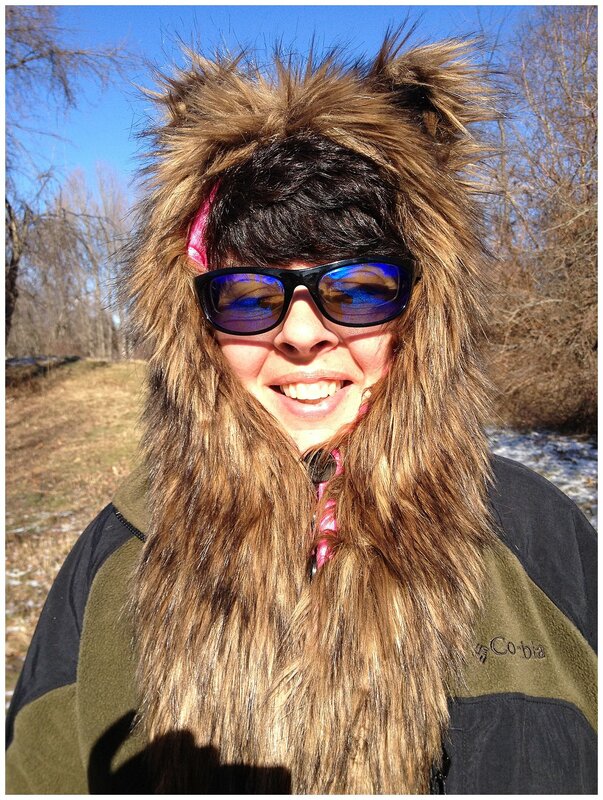 February – A walk on my father’s property in the bright winter sun, wearing a silly hat – just for fun! 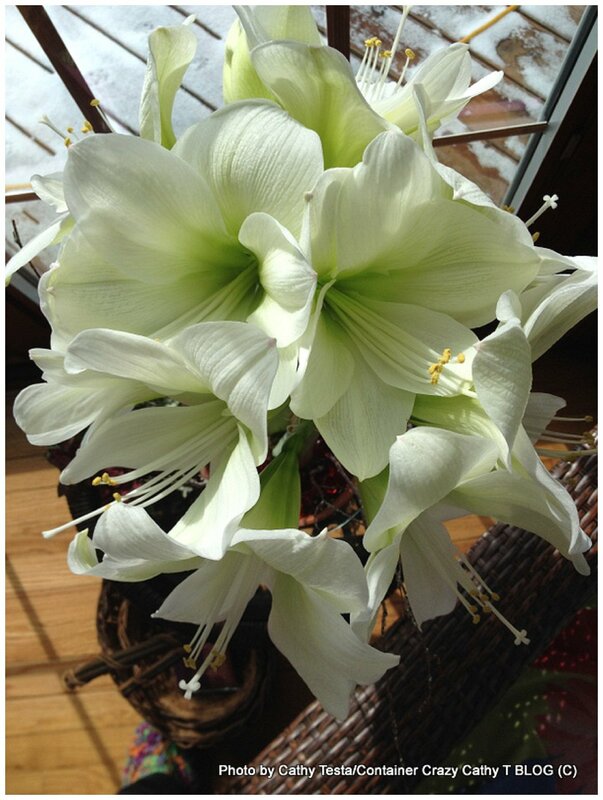 March – A beautiful Amaryllis burst open its white blooms. The scent of its presence fills the room. 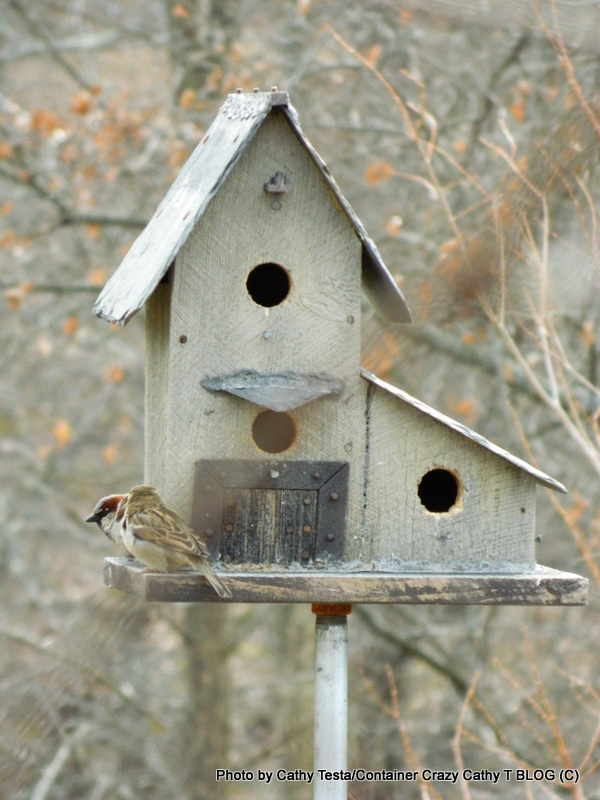 April – Two lovely birds meet on a perch. The puffs of their feathers and little o’ chirps. 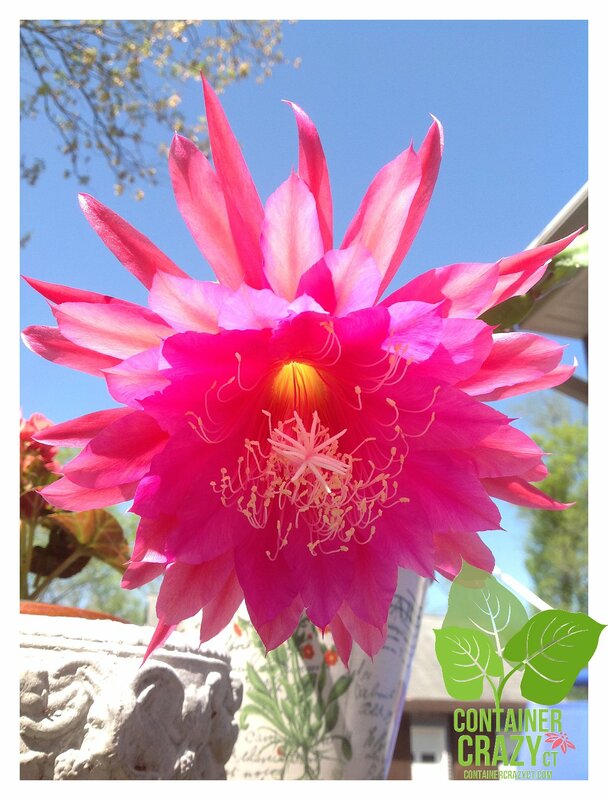 May – A photo was posted of an orchid cactus bloom. So vivid against the blue sky. 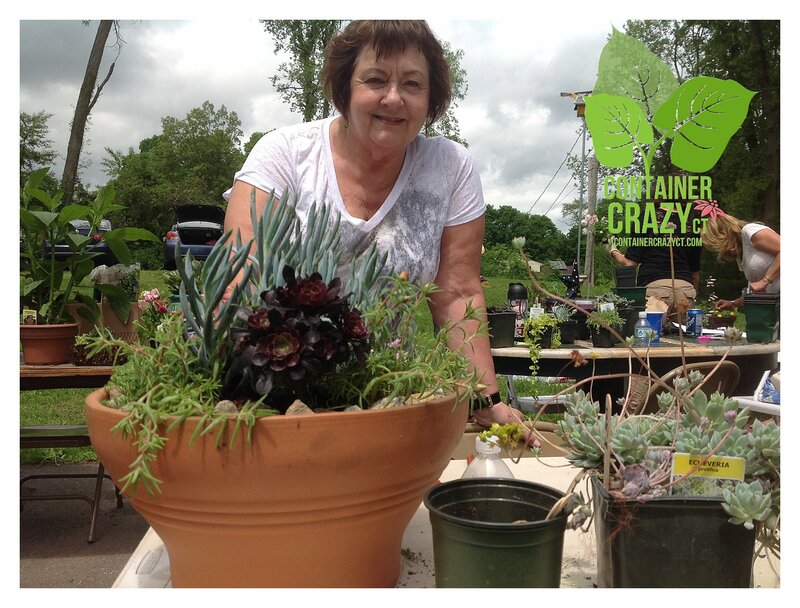 June – An attendee graciously poses with her pot – the May class was fun, we learned a lot! An Attendees Creation at the 2014 Class! Gorgeous! 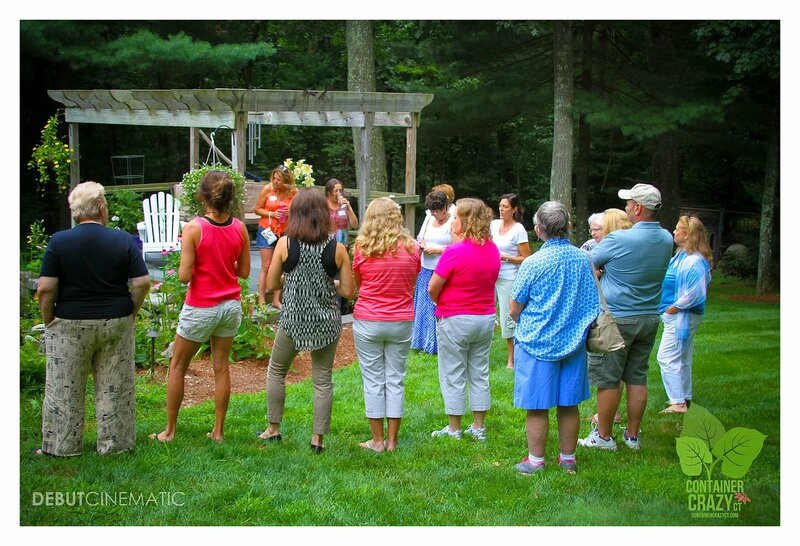 July – A group of us gathered to hear about a homeowner’s pond gardens. Walk and Talk Garden Tours first year. 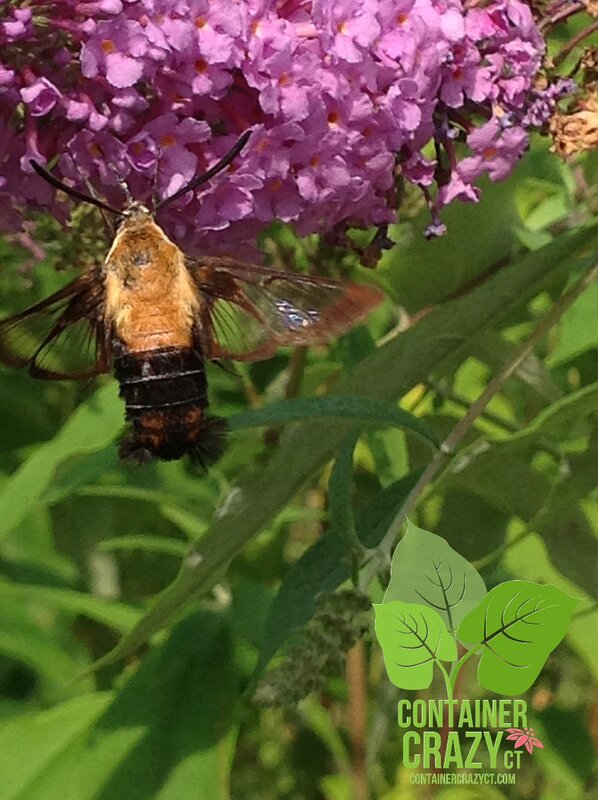 August – A hummingbird moth visits a butterfly bush during another Walk and Talk Home Gardens Tour. 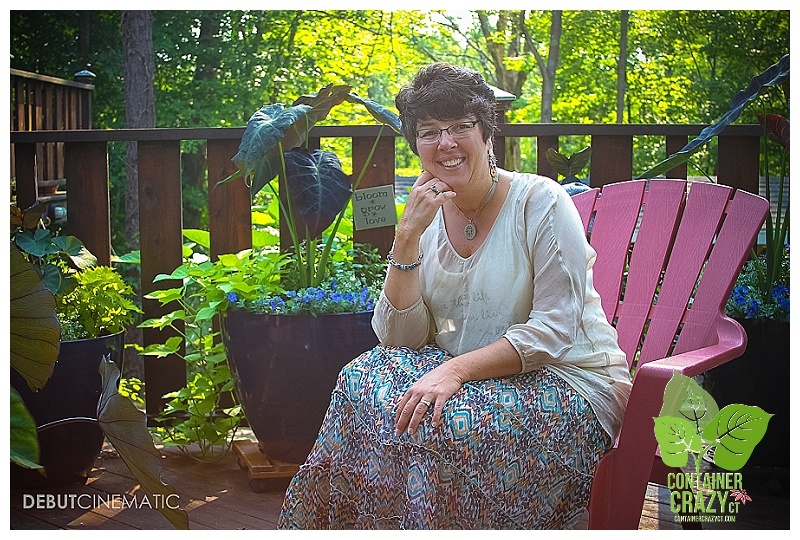 September – A shot taken mid summer in-front of some pots – being prepared for a special event. 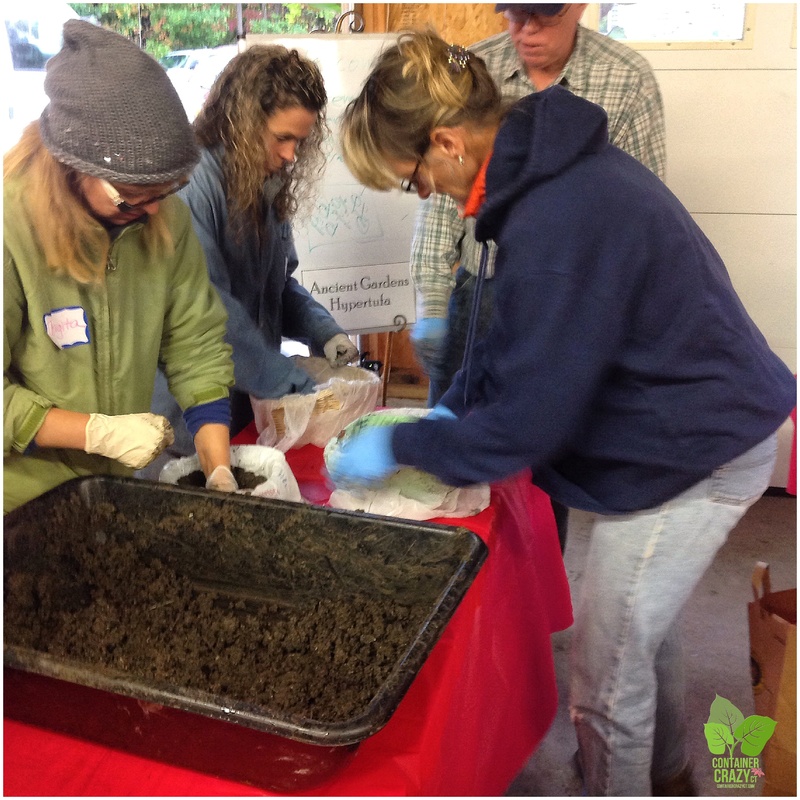 October – A group of attendees getting into their mix as we learned how to make Hypertufas as part of the Nature with Art Programs offered by ContainerCrazyCT. 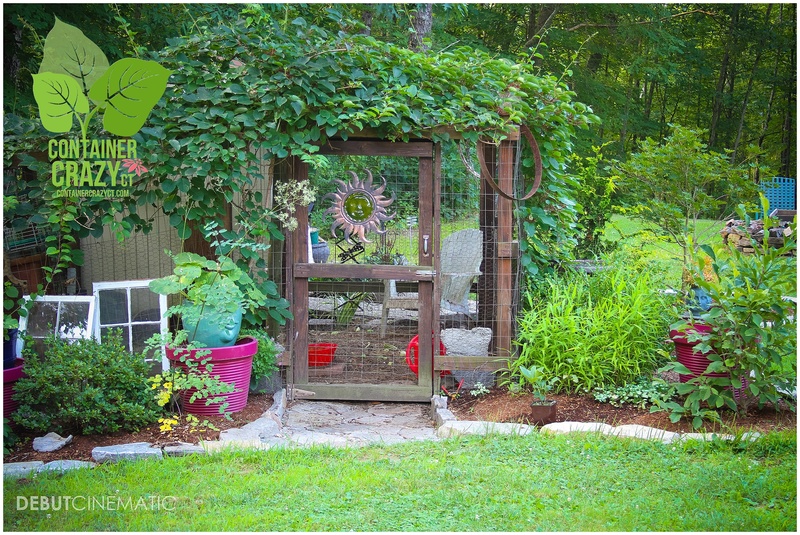 November – A view of my chicken coop covered with Kiwi vines and surrounded by mixed plantings. 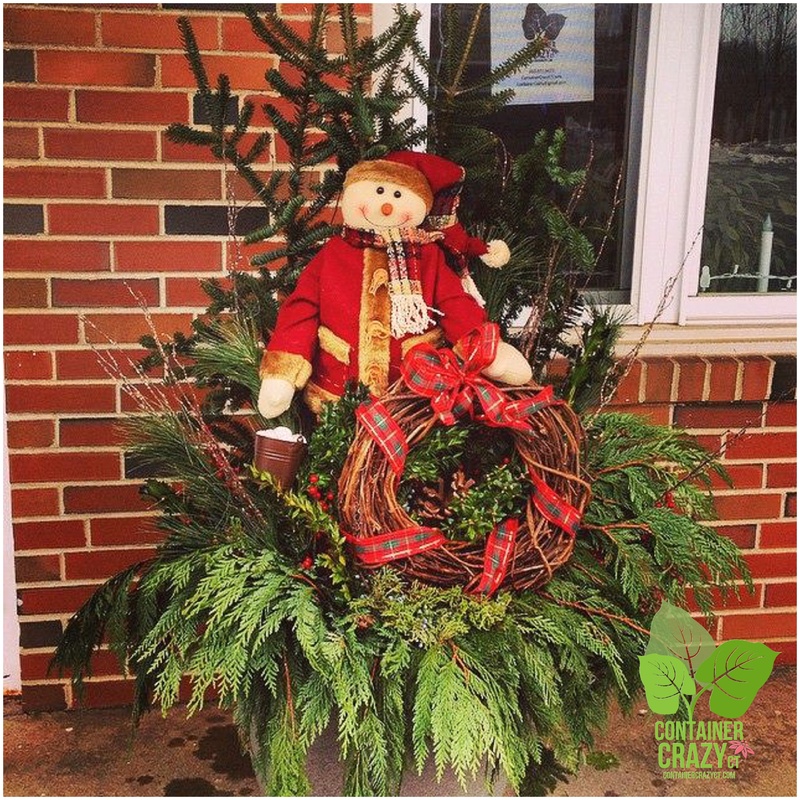 December – A winter container garden installed at a local business. One of many with fresh greens and decor. ← 2014 in review for this Blog! Thank U Followers, Friends, and Clients. Happy New Year to You All.